Product code: ES6504 Categories: Antique, Antique Bangle, Silver & Silver Plate. The buckle design was popular during the Victorian period of the 1800’s, and can be seen here in this very beautiful antique sterling silver hinged bangle made in 1885. With incredible hand engraving that would have taken an immense amount of time, the engraving feels so tactile and smooth to touch. Measuring a lovely wide 3.1cm wide, it is a size and style that will look so good no matter where or when it is being worn. Being hinged also allows it to sit nice and close to the wrist and is so comfortable to put on and wear all the time during the day and well into the night. Fitted with a safety chain for added security, this is a lovely example of a genuine antique bangle that is well over 130 years old and still looks amazing to wear all the time. 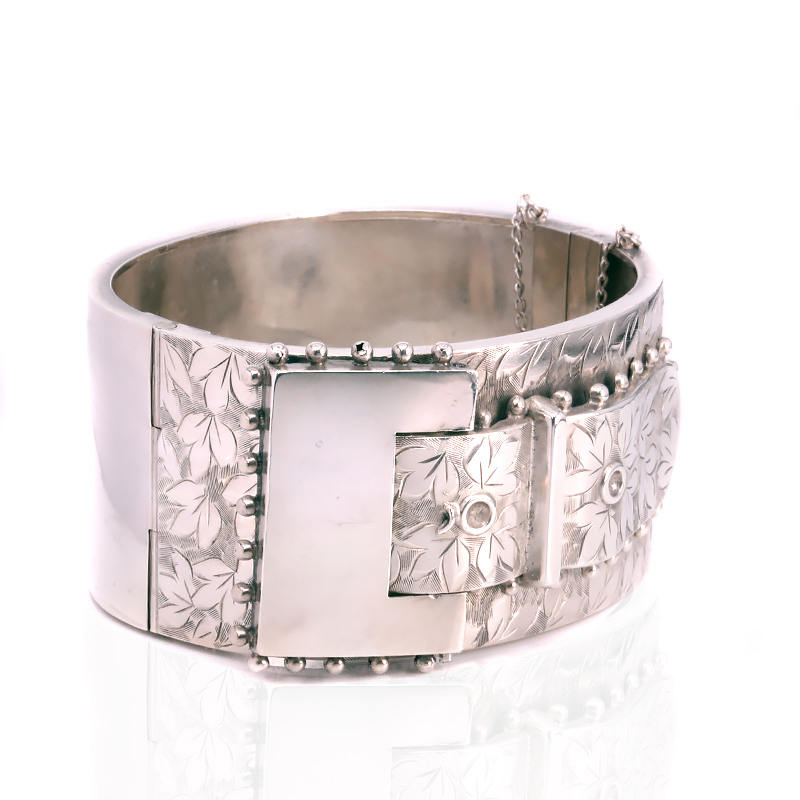 Tag: Antique sterling silver hinged bangle.